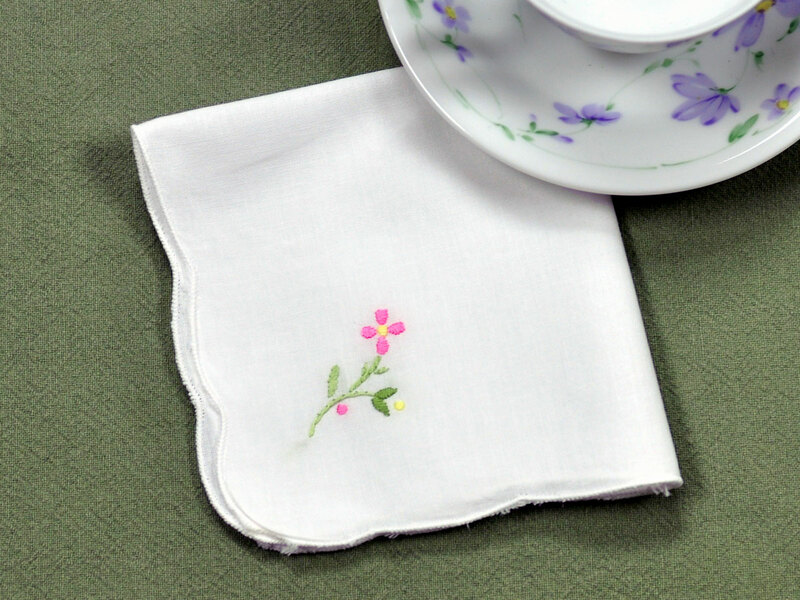 Delicately embroidered with a single pink daisy design , this set of 12 white luncheon napkins are perfect for a lovely afternoon tea party. 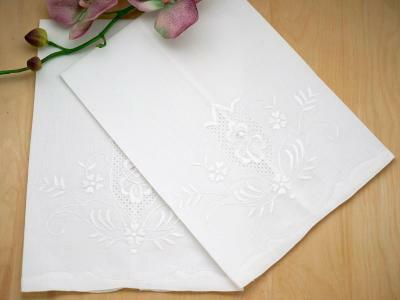 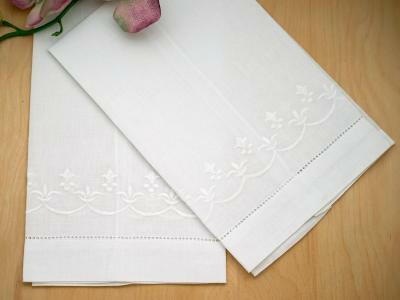 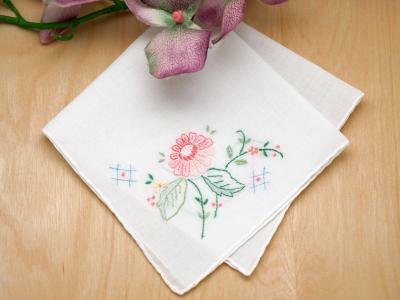 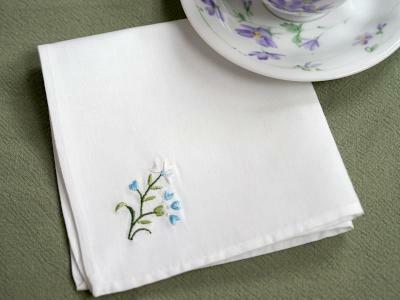 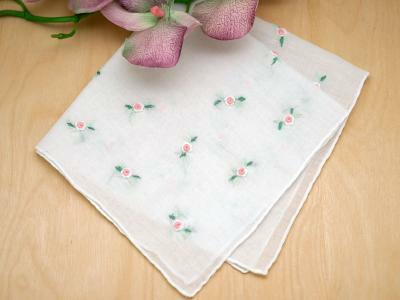 Each napkin measures 11" x 11" and is made of cotton. 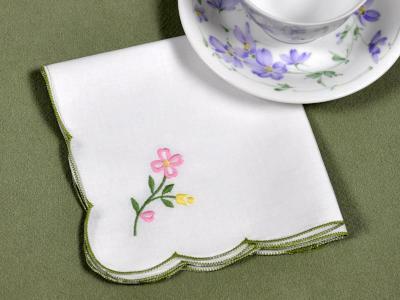 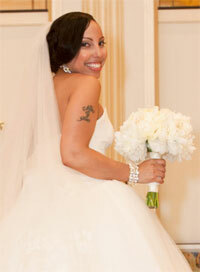 The napkin has a lovely scallop edge.